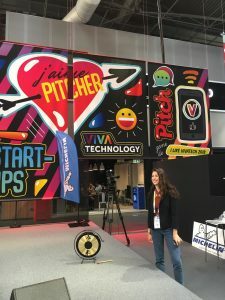 Viva Technology, one of Europe’s biggest start-up events, returned to Paris from the 16th-18th May. And of course, your OneRagteam was there to catch all the action. 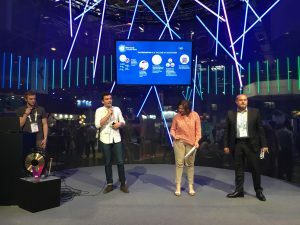 100,000 attendees, 9000 start-ups and 1900 investors – this was VivaTech 2018! As we well know, the strength in European tech is mounting. European start-ups received €25 billion in funding in 2017, +52.4% compared to 2016. In the climate of our rapidly blossoming European tech ecosystem, France is becoming a key leader, securing more deals than any other European country (at 722) in 2017. 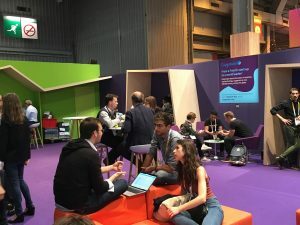 VivaTech shows the reality of this, and the international pull that French tech is generating. Key speakers this year included Mark Zuckerberg, Satya Nadella, Ginni Rombetty and Dara Khosrowshahi (CEOs of Facebook, Microsoft, IBM and Uber respectively). It was a pleasure to be invited to the stage too this year, partaking in two panel discussions on the future of tech and Venture Capital. In the first, “Picking Tomorrow’s Winners”, Stéphanie joined Fabian Heilemann from Early Bird Venture Capital, Sofia Hmich from Future Positive Capital, Jon Koplin from Cisco Investments and Sam Schechner from the Wall Street Journal. “It’s always better to be working with people that can really help you, rather than always looking for the largest valuation” was Stéphanie’s advice, as she emphasised how important it is to choose the right VC with the human capital to help your start-up scale. “We tend to be away from the hype”, she said, “You can have all the bets you want, but you’re betting on the people. So, you bet on them first, then you bet on the capability of the sector to be disrupted by technology.” The most important thing is trust and talent in this reciprocal relationship between start-up and VC. 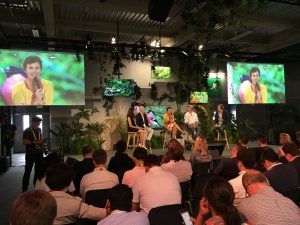 Next, Stéphanie joined TechCrunch Editor-at-large Mike Butcher, Atomico Partner Yann de Vries, Accel Partner Joe Schoendorf and Qwant Co-Founder Jean-Manuel Rozan to discuss “Investing in Unchartered Territories”. Stéphanie shared the OneRagtime belief that “there’s no reason why the VC industry itself can’t be disrupted” by harnessing technology and data as we do through our platform in order to scale. The panel discussed the noise around Initial Coin Offerings (ICOs) and whether this is the next “unchartered territory” for Venture Capital. Stéphanie’s response was that for us, ICOs miss the key ingredient that sets OneRagtime apart, “that if you want to scale, you need a network, you need acceleration… you need people to help you and to be really backing you”. And when it comes to blockchain (perhaps the unchartered territory we are hearing about the most at the moment), that at this early stage in the technology’s life we need to be focusing on the real projects that are building and leveraging blockchain as a platform. 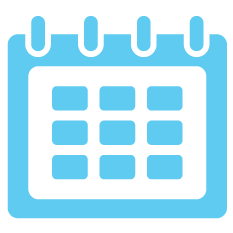 Away from the stages, we saw these key topics play out on the conference floor. Where 2017 saw an abundance of Augmented Reality and Virtual Reality start-ups, this technology has now merged into the corporate sphere. 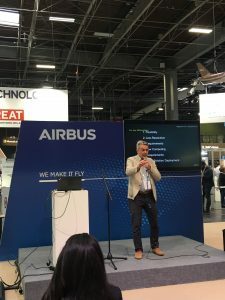 We could see this for example with BNP Paribas, who presented their innovation projects launched alongside 35 start-ups (including Virtual Reality for real estate and Augmented Reality account management). Amongst today’s start-ups we’re seeing many more blockchain applications and ICOs, but these are typically in very early stages, profiting from the hype around blockchain without capitalising on the real innovation and potential at the core of the technology. To us, this summarises everything that motivates us at OneRagtime. As Stéphanie said Tech for Good really is where we should all be focusing our attention: “because if we build all this, it’s to have a better way of using technology for all of us. 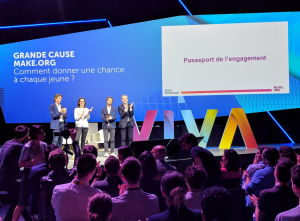 Tech should be good, tech should be to serve us, tech should be to solve the real issues.” Congratulations to VivaTech for another fantastic conference and we’ll see you next year! Are you an investor who wants to back the global champions of tomorrow? We want you on board.